In 2017, I successfully completed all seven of my Reading Challenges. I will participate in fewer Reading Challenges in 2018, four to be exact. 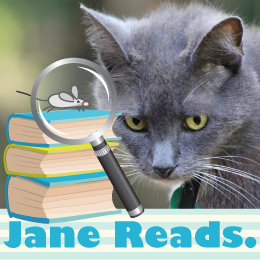 I will also be more active in the Cozy Mysteries Goodreads Group, and read and review more NetGalley books. one book for each letter of the alphabet. I will list my books here. 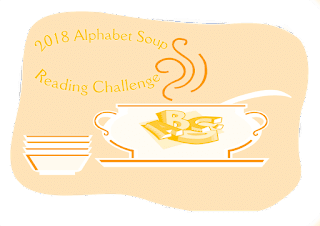 I will Feed my Ravenous Need to Read with 76+ Cozy Mysteries. I will list my books here. 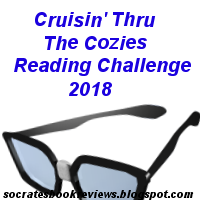 I will be Cruisin' thru the Cozies as a Sleuth Extraordinaire, two books from each sub-genre plus an additional 20 cozy books of my choice (total of 40 books). I will list my books here. I will read one mystery book set in each of the 50 US states plus the District of Columbia. There is no official timeline for this challenge, which I began on October 1, 2011.